Diablo III players patiently waiting for the launch of the new Diablo 3 Hero Profiles feature, that allows you to brag about your Diablo characters will be please to learn that the new feature has now arrived and is available for Diablo III players to use. The Diablo III Hero Profile feature consists of three sections: Career, Heroes and Friends. Providing you with statistics on your gameplay, as well as what your character is wearing and equipped with. Blizzard explains: “The profiles allow easy sharing, comparing, and refining of heroes as players pursue monster-slaying mastery. 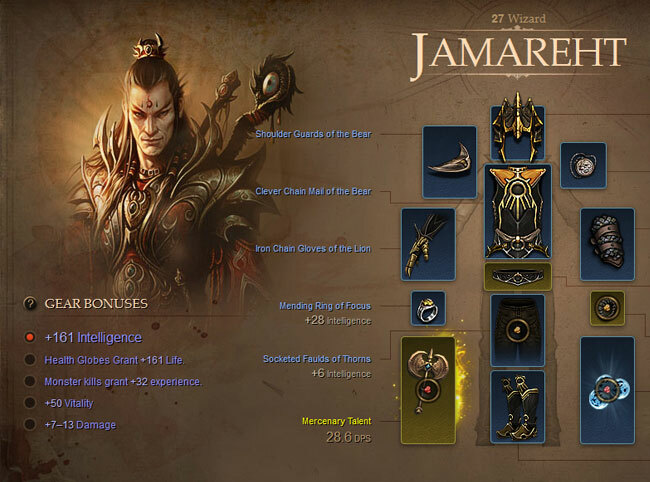 We plan to add even more functionality to them as Diablo 3 evolves, including detailed statistics and tabs for achievements and artisans,”.- “If there’s something else you’d like to see appear in a character profile, please make sure to let us know in the comments below or on our website forums,”. To access the new Diablo III Hero Profile feature log in with your Battle.net account and look for the login box in the upper right corner of the screen, or from any page on the Diablo 3 community site.